In June last year, Southern Cross Austereo sent out a press release announcing the realignment of its digital radio stations under the Hit and Triple M brands. 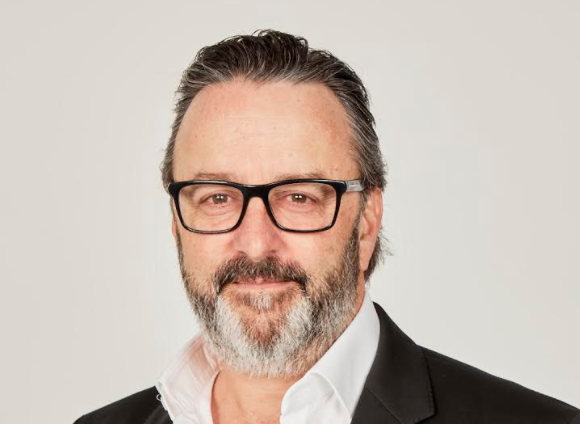 Mumbrella’s Zoe Samios chats with SCA’s sales boss Brian Gallagher to understand how the rebrand kickstarted a new direction for the company's sales strategy. It seemed simple at first: Southern Cross Austereo had rebranded its digital networks. It was an unsuspecting, subtle rebrand – an attempt to build brand awareness across its digital stations. SCA’s rebrand has since transformed into a complete realignment of Hit Network and Triple M, ultimately reshaping how the business sells advertising and measures total audience. Several years ago, SCA won a large portion of the digital audio broadcast spectrum in metro markets. It was seen by many as a positive win, suggesting the company saw radio moving towards platforms such as mobile and voice activated devices. However, the move proved challenging from a commercial perspective. Digital radio – otherwise known as DAB+ – has seen audience growth for a number of years. When DAB+ launched, some networks commercialised their platforms by renting out the spectrum to retailers, like Coles and Chemist Warehouse. SCA – which currently has seven DAB+ stations – experimented, did not put advertisements on its platforms. Despite this, SCA’s seven DAB+ stations were contributing an audience. In survey eight last year the digital stations provided a a 6.5% uplift in reach and 300,000 unique listeners to its total audience. However, those seven digital stations weren’t aligned in any meaningful way. Brian Gallagher, SCA’s chief sales officer, says the rebrand of the station meant a national alignment, effectively removing the divide between analog and digital. “What you have in our digital stations now are brands that align demographically with the FM,” he explains. The digital stations were divided as follows: Buddha, Easy, and Old Skool were rebranded as an extension of the ‘mother brand’, becoming Buddha Hit, Easy Hit and Old Skool Hit. Meanwhile, ‘father brand’ Triple M added Triple M Modern, Triple M Classic Rock, Triple M Greatest Hits and new station Triple M Country. Audiences were provided more clarity around what each station offers, while advertisers got a packaged deal. For example, if an advertiser purchases a slot on 2Day FM or Fox FM, for the same cost per thousand, it will run across Hit network’s digital brands. The ads will run more or less at the same time, but the package will only run across licensed areas. The end goal is creating highly targeted, addressable content in programmatic for stations delivered through audio-over-IP streams. SCA will receive more revenue through its larger audiences. “What that allows us to be able to do is to promote all of our brands under our Hit or Triple M banner without worrying about cannibalisation of audience moving from say a Hit network FM station to a Buddha station. The value of that listener to us is identical whether they’re listening on Hit network or Buddha,” Gallagher adds. Gallagher says what his clients want is reach, and a realignment of sales allows for this. It’s about a bigger, demographically divided audience, he says. “[Clients] want to get reach in a measured, transparent manner. We have been sitting on this spectrum for a very long time,” he says. Adding to that, tomorrow’s survey will also include digital stations for the first time. Whilst previously Commercial Radio Australia released the GfK digital data a week after FM, tomorrow will see both delivered at the same time. “We organised with GfK to be able to incorporate the measurement of the audiences being provided by those digital stations, alongside the audience measurement for the FM. From survey one this year, we now have the ability to have one single view of Hit is delivering in metro markets, and one single view of what Triple M in each metro market,” Gallagher explains. The new sales strategy has been in place since November 6, but this Tuesday – the first radio ratings day of the year – will mark the first time the SCA officially presents their total audience to the industry. For those advertisers who have already been working on this strategy with SCA, Gallagher says the response has been “very good” and “very positive”. But ultimately, Gallagher says this new strategy would not be in place without that subtle rebrand. “Behind the scenes on the rebrand was also a massive engineering overhaul and play out to be able to do the local insertion,” he adds. Calling a station Buddha continues to remain highly offensive – substitute Buddha for say Mohammad and see how that works. I agree , Christain radio, Amish radio, Jewish radio, Mohammad radio – all sounds a bit odd . Is the playlist sensetive? What about platforms? I had enjoyed Old Skool for a long time, but recently the sheer number of ads now running is insane. I get the need for monetisation but it now seems like overkill.